Yes, it’s true! We have 40+ years of experience in court reporting steeped in excellence and tradition, but what does this mean for you? Whether you’re in the Chicago area, or halfway around the globe, rest assured that when you contact our team to send you a court reporter, you will be working with an experienced, certified professional. Our proprietary vetting process ensures that you’re working with a court reporter who values the importance of the accuracy of testimony in your case just as much as you do. All reporters who work with Planet Depos – both domestic and international — are required to hold and maintain U.S. certification. 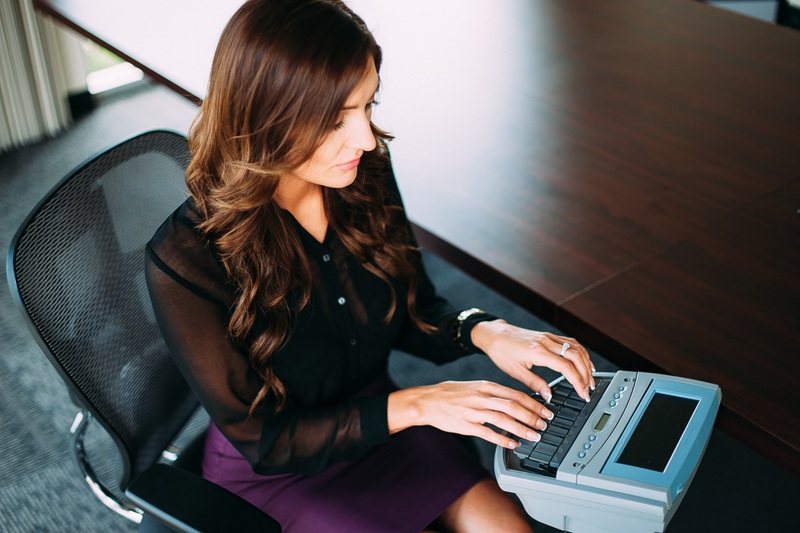 From being well versed in case-specific terminology to keeping up with the latest in court reporting technology, our court reporters are simply the best in the business. While tradition is nice, innovation and cutting-edge technology is what takes court reporting and deposition services to a new level and what gives you the competitive edge over your opponent! Realtime reporting provides an instant view of the testimony over laptops and/or iPads (your own or provided by the reporter). Approved offsite participants also have the opportunity to view the realtime transcript through streaming, and immediate rough drafts are available upon conclusion of the proceedings. Unless otherwise ordered, transcripts are electronically delivered in a bundled PDF portfolio, complete with a full-size transcript, a condensed transcript, ASCII file, as well as hyperlinked exhibits.